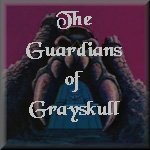 Welcome to He-man's Episode Emporium, the ultimate source on the internet for Masters of the Universe factory produced cartoons. As on my other video tape pages, I'll List what I have, but unlike the others, I won't tell you what I need, unless it is a factory made tape. The Reason for this is that I only own what was put out on home video by RCA/Columbia Home Video, and I don't have any television recorded episodes. If their are any people out there with television recorded episodes that are not listed here, please e-mail me. We can discuss a possible trade or exchange of some kind. Most of these tapes are previously viewed, but some are still factory sealed. My supply is changing constantly, so send me an e-mail for prices and availability. If this doesn't meet your needs, I can copy them for $7.00 + shipping per full tape, which holds approximately 4 episodes in high quality SP mode only. But enough talk; on with the list! 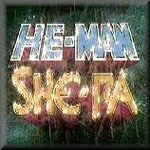 The He-man/She-ra Christmas Special is now available! These are factory sealed tapes made by UAV entertainment. However, it is on Back-order and takes 4-6 weeks to recieve upon reciept of your order. E-mail Me to confirm your order. The cost is $14.99 + shipping, which is $4.01 in for US orders, and $7.01 for Canadian orders. Any episodes that anyone has that was not put out on video back in the eghties that THEY PERSONALLY recorded themselves from the TV back when it was on the air. Want to join the Guardians? 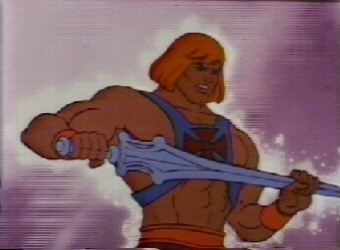 "By the Power and Honor of Grayskull...We Are the Guardians!"